How to Wash a Backpack – The Ultimate Guide. Nowadays, backpacks are universally used since there is one for every purpose you could think of on the market. If you are like me and owned several rucksacks, that get used extensively, sooner or later, it will come a time when you will need to wash your backpack because it will be dirty and smelly. I find that backpack’s owners can be divided into two categories. 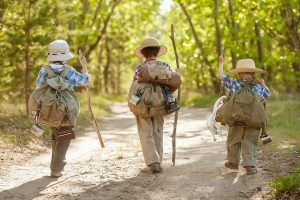 Within the first, you will find people that feel a great pride in having a filthy backpack as proof of all the excursions they have gone through. 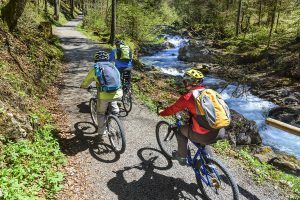 The second category regroups individuals who like to keep their rucksack clean, in a pristine condition as they consider their rucksack to be an investment and want to keep it for the years to come. Therefore, this post is for the second group of people. 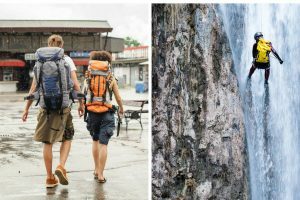 If you belong to the first category, then you must read the best trail backpacks to look for your next backpack. Why? Simply put, by mishandling your hiking bag the way you do, you will definitely need a new one soon! So, without further ado, here are two ways to clean your rucksack along with some tips to help you take care of your investment! First off, no matter how you decide to clean your rucksack, there are a few things you must do first before proceeding with the cleaning of your backpack. Remove all items from the pockets as well as from all the compartments of your hiking bag and leave the pockets unzipped. Vacuum clean the inside to remove any debris, dirt, rocks, and dust. Don’t forget to vacuum all the nooks and crannies of your bag (corners, seams). You might be surprised by what can lurk in your rucksack! Use a wet cloth to remove any loose dirt from outside the bag. Remove the internal metal frame when possible. Remove all detachable pockets, straps, the harness as well as the hipbelt. Wash these items separately by following the procedure described below for hand washing your backpack. Inspect the rucksack before cleaning it, and trim any excess thread, especially near the zippers to prevent any damages to the backpack. Look for any stains. Pre-treat them with either a stain remover or a mixture of detergent and water in a ratio of 1:1. Brush the stain and wait for about 30 minutes, then rinse the area completely. Fill up the bathtub or the sink depending on the size of your bag with cold water and add the soap. Mix it with your hands. Always use a dye-free, chemical-free detergent such as Nikwax Tech Wash to avoid removing the layers of waterproofing and prevent discoloration of your rucksack. Place the backpack in the bathtub or the sink and shake it to clean the bag. Or use a washcloth and soak it in the soapy water, wipe the inside and the outside of the bag to wash the backpack. Clean the corners and the seams by using an old toothbrush. Don’t forget about the zippers! Use an old toothbrush to remove any debris lodged into the zippers gently. Don’t brush the zippers too hard as you might remove the water-resistant coatings on them. Drain the bathtub (or sink). Submerge the backpack in a bathtub (or sink) filled with cold water and shake the bag thoroughly to rinse it. Or the second option which is better, in my opinion, is, to use a detachable shower head to rinse the rucksack to remove all traces of soap. Always air dry the bag. Never use a dryer machine to dry the knapsack. If you have a clothing line, hang the backpack upside down in the shades, no direct sunlight. If not, dry the pack inside in a cool, well-ventilated place and away from any direct heat source. I also recommend that you put some towels in the bag to absorb the extra moisture. Moreover, the towels will help the bag retain its shape. Let it completely dry before your next use. I don’t recommend using this method to clean your backpack. It should only be used as the last resort. For a thorough cleaning, turn your backpack inside out and leave all the pockets and compartments opened. Put the rucksack in a laundry bag or an old pillowcase and tie a knot at the top. 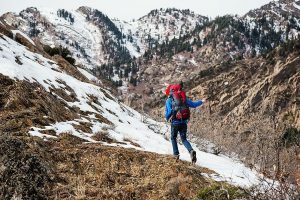 By doing so, it will prevent the straps or any loose parts of the backpack to get tangled up in the washing machine, especially if you are using a top load machine with an agitator, which can cause damage to the washer as well as your pack. Select the delicate or the hand wash cycle. Wash the knapsack in cold water and with a chemical-free, dye-free detergent. You can use the mild detergent Nikwax Tech Wash. Follow the same procedure to dry your backpack than the one described in the hand wash method. Now, if your rucksack stinks like it has a mildew smell to it, here is a short procedure for getting rid of the mold and having your backpack smell fresh and clean for your next outing on the trail. This procedure must be done outdoors and during a sunny day to eradicate the mold. Use a cloth (a disposable one) and carefully brush off the mold from the backpack. Go easy with the brushing. You don’t want to spread the spores to the entire bag. Next, rub the area of the knapsack that has the mold with alcohol. Sponge the area with a washcloth soaked with water to rinse. Let the rucksack dry in the sun. Even though I mentioned earlier that you should always let your pack dry in the shades, here you need the benefits of the sunlight to kill the remaining spores that could be present over the backpack. Here are some tips to help you keep your backpack clean and therefore extend its lifespan. It is of the utmost importance that you follow to the letter the manufacturer’s instructions for cleaning your backpack to avoid any damages or remove the waterproofing coating of the bag. How to prevent the mildew? Remove any wet items from the rucksack once you get home from your hiking excursions. Treat the zippers after you have cleaned the backpack with silicone spray to lubricate them and to keep them working smoothly, therefore preventing the zippers from getting stuck. It is imperative that after each outing that you check your bag, remove any stains right away and wipe the inside and outside of the backpack with a damp cloth to remove any dirt. Always let the bag dry thoroughly before your next use. You should thoroughly wash your backpack no more than 1-2 times/year. If you are like me and view your backpack as an investment and want to keep your pack for years to come, it is imperative to take great care of your hiking bag by cleaning it after every hiking excursion. I recommend hand washing your knapsack if there are no recommendations from the manufacturer to avoid damaging and ruining your rucksack. So, even if the bag is really filthy, first try to hand wash it. However, if you find that the backpack is still dirty, then, as a last resort before throwing it out, try the washing machine method described above. 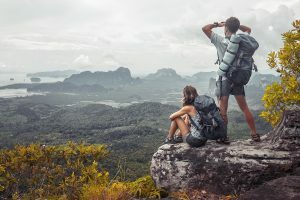 If nothing works or the backpack end up being ruined after washing it in the washer, thus you should consider buying another hiking backpack to replace it. So if you need help in buying your backpack, read my post about the best hiking backpacks available online here. If you have any inquiries or suggestions about cleaning backpacks, please, leave a comment below. The Best 60 Liter Backpack – Rightfully Size for Outdoor Adventures! 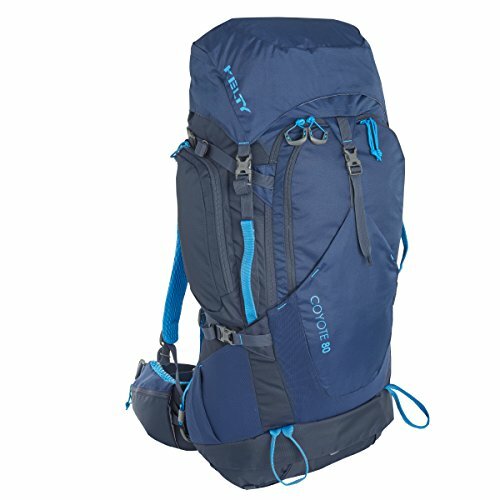 The Best Daypacks for Hiking – All in a Day Hike! 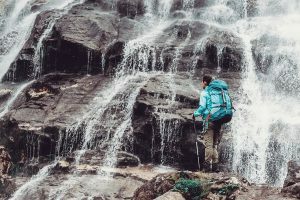 Water-Resistant vs. Waterproof Hiking Backpack – What to Choose? Some recommended products may use affiliate links. BestTrailBackpacks.com is a participant in the Amazon Services LLC Associates Program, an affiliate advertising program designed to provide a means for sites to earn advertising fees by advertising and linking to Amazon.com. Amazon and the Amazon logo are trademarks of Amazon.com, Inc or its affiliates.